An exiled member of the G40 group, former government minister Jonathan Moyo, earlier tweeted that the blast "smacks of an inside job". Will age be a factor in Zimbabwe's poll? President Mnangagwa was emphatic. Whoever tried to kill him was part of a conspiracy rooted in the G40 faction. He did not blame Grace Mugabe for the attack but in accusing her supporters he has further isolated the former first lady. She is currently visiting Singapore, where her husband is receiving medical treatment. My impression is of a president who expects to win the 30 July election. 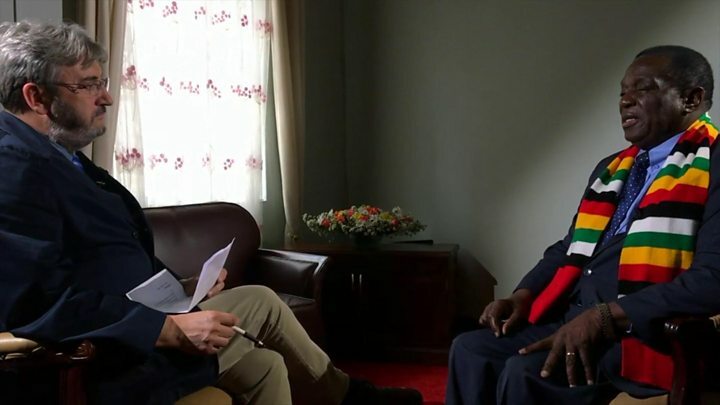 He also struck me as being confident in the support of the international community and - critically - the Zimbabwean army as he faces his remaining internal enemies. Zimbabwe, in the wake of the apparent assassination attempt, is not an unstable country. But it is unsettled. Mr Mnangagwa described Mrs Mugabe as someone who had frequently insulted him in the past. "On what basis would I trust someone who was used by a cabal to say things that had no basis?" he asked. Nicknamed "the crocodile", Mr Mnangagwa has a reputation for being ruthless, but he told our correspondent: "I am as soft as wool. I am a very soft person in life, my brother. I'm a family person. I am a Christian." 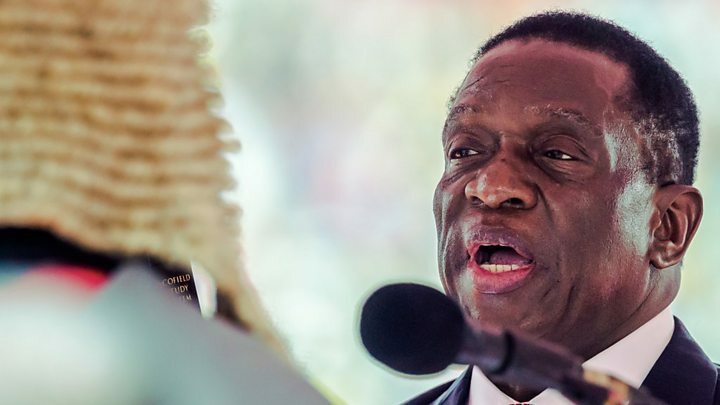 Despite the apparent attempt on his life, Mr Mnangagwa said there would be no countrywide security clampdown and elections scheduled for 30 July would go ahead in a free and fair manner. Zimbabwe was stable and that foreign investors should not worry, he said. Representatives of Zanu-PF, the main opposition Movement for Democratic Change (MDC) and other parties signed a peace pledge on Tuesday, promising to refrain from violence and hate speech during campaigning. The MDC's Nelson Chamisa is expected to be Mr Mnangagwa's main challenger in the election. He has also condemned the attack in Bulawayo. Letter from Africa: Will age be a factor in Zimbabwe's poll?